Purchasing term insurance plan is the first step towards financial planning. As soon as you start earning money, you should purchase a good term insurance plan. Term Insurance plan is a low-cost insurance policy that provides a risk coverage and financial stability to your family in your absence. I don’t want to scare you, but think of the situation who will fulfill a financial need of your family in your absence. A Term plan gives you, a mental peace that they will get insurance amount on your death. So, as per me, term plan with sufficient risk cover is a must, if you the only bread earner of the family. Today you will find many insurance companies including LIC is offering online term insurance plan in India. So, it becomes extremely difficult to select which is the best term insurance plan in India? Today l will share details about Best Online Term Insurance Plan in India. I will also suggest various features and points to consider before buying a term plan. 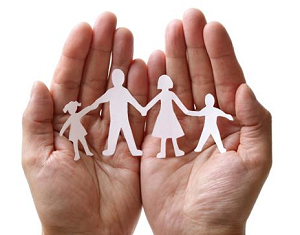 Term Insurance Plan is pure insurance plan that will provide risk coverage to the policyholder. There is no maturity benefit attached with a term plan. The nominee will get a benefit of this policy only in case of unfortunate death of policy holder. Accidental Rider Benefit is an optional feature. Normally this feature is required for the frequent travelers. In order to avail accident rider benefit, you need to pay an extra premium. Suppose you have taken term plan of 50 Lac. You can opt for additional accident rider benefit of an additional amount by paying an extra premium. Suppose you take an additional accidental rider of 10 Lacs. In case of natural death amount payable will be 50 Lac, however, incase of accidental death 60 Lacs will be paid to the nominee. Premium waiver benefit is associated with partial or full disability. This option provides you an advantage of premium waiver in case of partial or full disability due to an accident. All future premium will be waived off but the policy will remain enforced. Critical illness benefit rider will pay you money in case you are diagnosed with certain pre-defined listed illness. The most common illness includes heart attack, brain stork, kidney failure etc. Critical Illness rider is taken for the specific amount. Suppose you have taken critical illness rider of 10 Lac and you are diagnosed with a heart attack which is included in the list. You will be paid 10 Lac on diagnosis. There are multiple life insurance companies in India like LIC, ICICI, HDFC, Exide Life, Kotak, Aviva etc. All these insurance companies provide a similar type of term plan to customers, which makes customer confused in selecting the best term plan. In order to find out the best term plan, we have to adopt selection methodology based on our preference. I have used following factors to select the best term plan. Based on above selection factors list of best online term plan in India is given below. Premium details given above is for 30 years old nontobacco customer with risk coverage of 1 Cr, policy term 30 years. ICICI iProtect Smart is first in the list of best online term insurance plan. ICICI iProtect Smart policy provide 360- degree coverage to your life at a very reasonable price. ICICI iProtect Smart term plan offers additional features of accident rider, premium waiver, critical illness and terminal illness benefits. A Claim settlement ratio of ICICI Pru is very good 93.80% (Year 2015). If you have not purchased term plan yet you must consider iProtect Smart. To know more about iProtect Smart. Kindly go through a review of ICICI iProtect Smart. HDFC Click 2 Protect Plus is one of the best online term plans. HDFC Click 2 Protect Plus provides complete protection at affordable price. HDFC Click 2 Protect Plus comes with four different options namely Life, Extra Life, Income and Income Plus option. You can avail accidental rider and critical illness benefit under this plan. A Claim settlement ratio of HDFC life is slightly low 90.5% (Year 2015). To know more about HDFC Click 2 Protect Plus. Kindly go through a review of HDFC Click 2 Protect Plus. LIC (Life Insurance of India) is most reliable number one insurance company of India. LIC is even best in terms of claim settlement ratio. Last year claim settlement ratio of LIC was 98.19% (Year 2015). LIC is offering pure online term plan called as LIC E-term. However, a premium of LIC E-term plan is slightly higher compared to all other plans. LIC E-term does not provide any additional riders. If you have not purchased any term plan and if you have hesitation in purchasing term plan from private insurance company LIC e-Term is for you. To know more about LIC E-term plan. Kindly go through a review of LIC E-term Plan. SBI e-Shield is next in the list of the best term plan. SBI e-Shield also provides additional accidental rider benefit and increasing cover benefit. However, a premium of SBI e-Shield plan is high compared to any other term plan. A Claim settlement ratio of SBI Life is 89.43% (Year 2015). To know more about SBI e-Shield. Kindly go through details available on SBI site. Max Life Online Term Plan is one of the most affordable term plan. Max Life Online Term Plan also provide option of monthly income along with life cover. A Claim settlement ratio of Max Life is second highest after LIC, 96.3% (Year 2015). If you are planning to purchase Max Life Online Term Plan. Kindly go through details available on Max Life website. Kotak Preferred E-term Plan is next in the list of the best term plan. Kotak E-term is unique term plan providing inbuilt premium waiver benefits in case of permanent disability. The e-term plan also provides option for customizing claim payout. A Claim settlement ratio of Kotak Preferred E-term plan is 90.73%. To get further information about this plan kindly visit Kotak website. Why Online Term Plan is better option? It is extremely easy to purchase term plan online. You just need to fill your details and make payment online. Online Term plan is available at lower cost compare to offline plan. It is low cost as you are not paying extra money to the insurance agent in terms of commission. No insurance agent or advisor is involved in the process. It is completely transparent. A decision of buying a policy is entirely on you and not derived by any agents. How much risk cover I should take? A risk coverage amount depends upon the individual. You should calculate your exact life insurance need before finalizing sum assured. Always go for need-based approach. As a thumb rule, you should purchase life cover equal to a minimum 12 times of your annual income. What should be Term of this policy? You need term plan up to your retirement age. Once your income stops there is no need for a life insurance coverage. So, while deciding term of policy keep this in mind. Do I need to purchase accidental rider and other rider benefits? The answer to this question depends on individual need. If you are a frequent traveler, you should opt for accidental rider benefit. If you have medical history it is advisable to take a plan with critical illness benefit. Should I purchase two term plan from two different companies? In order to minimize the risk of claim settlement, you can plan to buy two different term plan from two different companies. However, you need to disclose details about all previous insurance policy taken to both these companies. What details I should disclose while buying term plan? Life insurance is an agreement on the principal faith. You should disclose all relevant information like health history, existing insurance plan, a habit of tobacco or cigarette etc while applying for term plan. Non-disclosure of this information can create problems at a later stage and it may lead to rejection of a claim. A Medical checkup is mandatory for buying term plan? A medical checkup is not mandatory for all term plans. Most life insurance company offers term plans up to 50 Lacs without a medical checkup. However, for higher sum assured you need to undergo a medical checkup. You may require to pay additional charges for the medical checkup. Which documents are required for buying term plan? You will need following documents to buy term plan. I have given my unbiased opinion on best online term insurance plan. Hope it will help you while buying a term plan. Do you think online term plan suggested by me is a right fit for your requirement? Feel free to post your query and comments about buying an online term plan. what will be the maturity amount if the policy holder does not die? I am slightly confused when u say there are no maturity benefits? In term plan you will not get any maturity amount.It is pure risk cover plan.Payment is given in case of only policy holder dies. I am Abhay by profession I am having manufacturing business. My age is 39 year old. Please suggest best term plan for me expected tenure is 20 years. I am non smoker and looking for 50 Lakhs sum assured. You can plan to purchase ICICI iProtect Smart or HDFC Click 2 Protect Plus online term plan. I am Rishi Currently working in Singapore on work visa.My age is 33 years, spouse is 25 years old. I am doing job. Please suggest best term plan for me.I am non smoker and looking for 1 Cr sum assured. As you are on work visa you will be considered as NRI.NRI can purchase Term Plan in India.As a NRI you need to fill up additional NRI Questionnaire while buying term plan. You can plan to purchase ICICI Pru iProtect Smart or HDFC Click 2 Protect Plus. Before buying this policy you must share your NRI status with insurance company. Some companies does not offer term plan to NRI.e.g LIC e-term is not offered to NRI. The write-up is very useful and relevant. Thanks for appreciation.Which Term Plan you have taken?